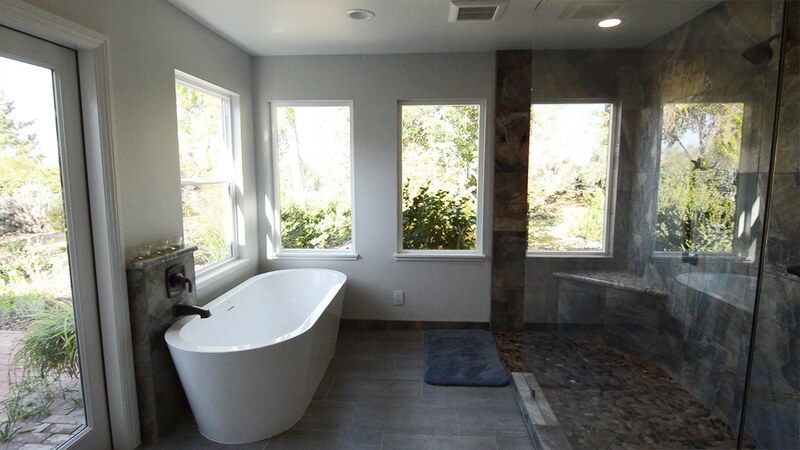 Project Features: Removed & replaced tub, expanded the shower, made the shower a walk in shower and quartz seat tops. 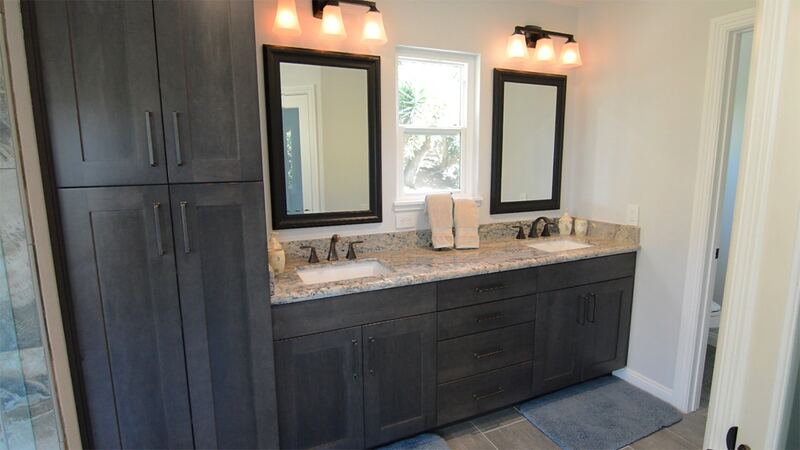 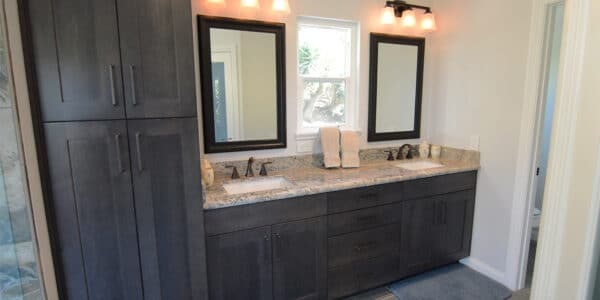 This eclectic design features graphite stained cabinets with a granite countertop and two under mounted white sinks paired with oil rubbed bronze fixtures. 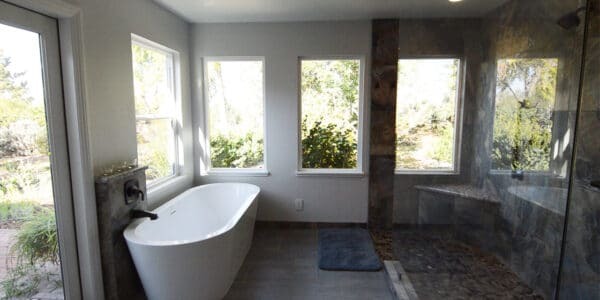 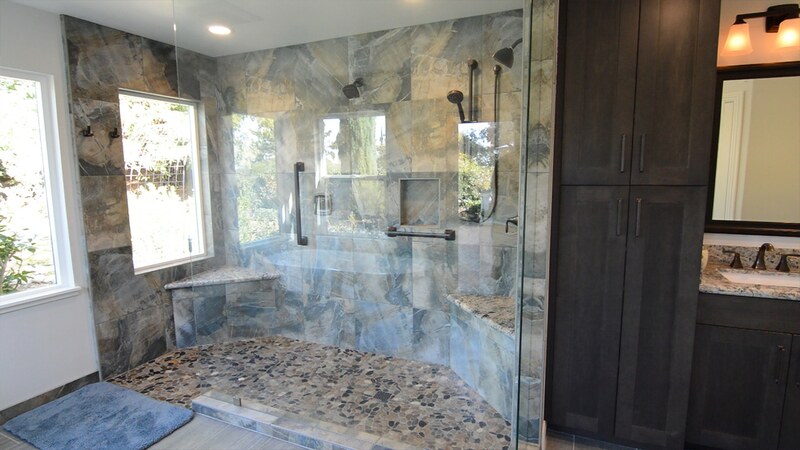 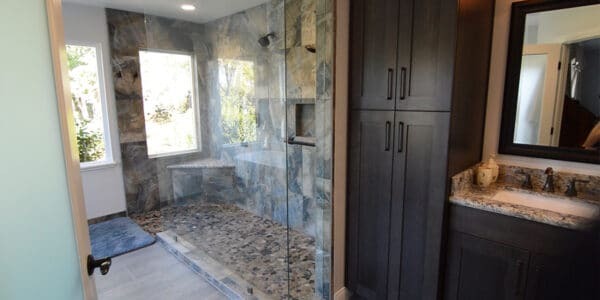 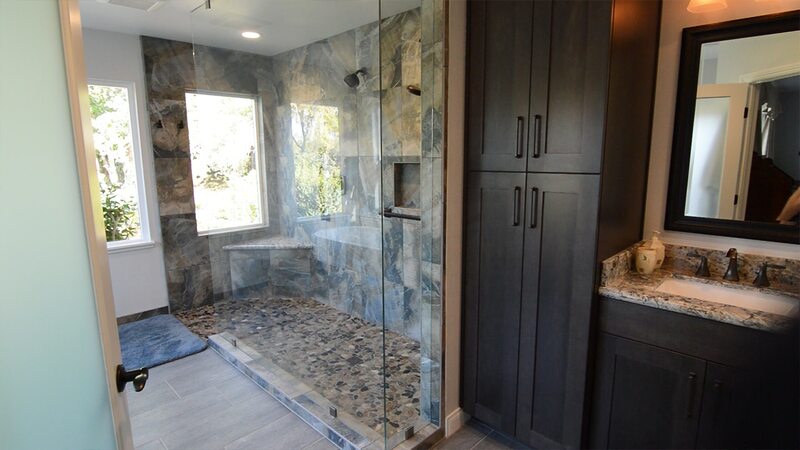 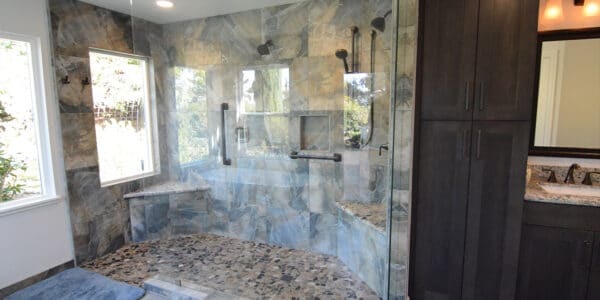 The shower is tiled in a beautiful stone with multicolored pebble rock flooring, the top of the two benches is granite, the same as the countertop. 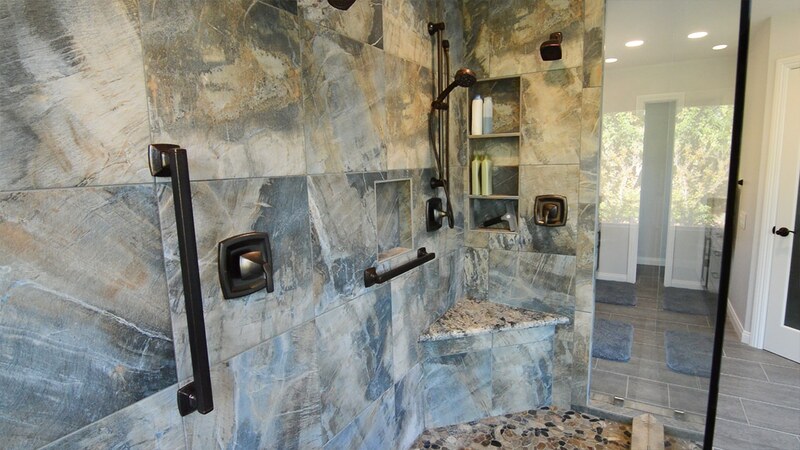 The fixtures in the shower are oil rubbed bronze. 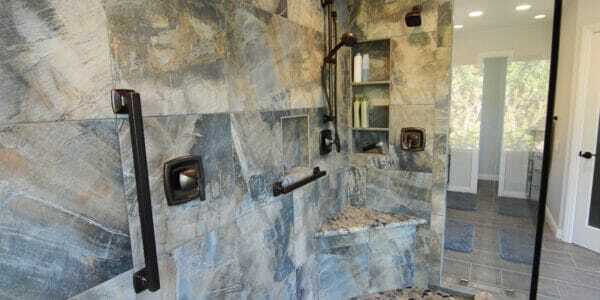 The small wall for the tub fixtures is tile in the same stone tile as the shower with oil rubbed bronzed fixtures as well. 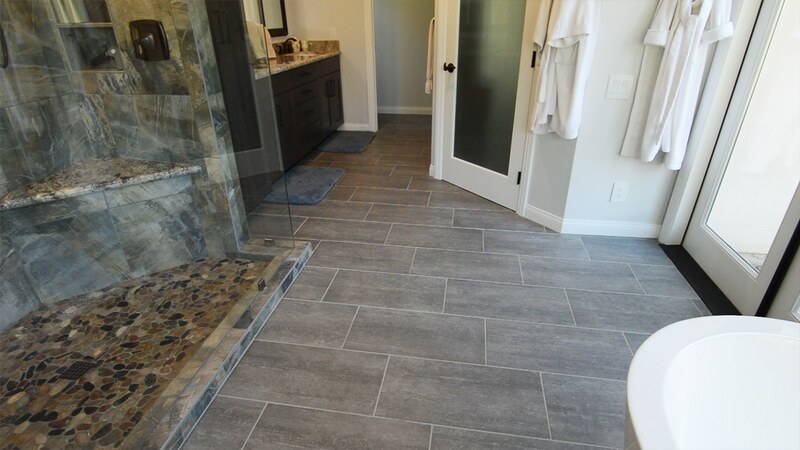 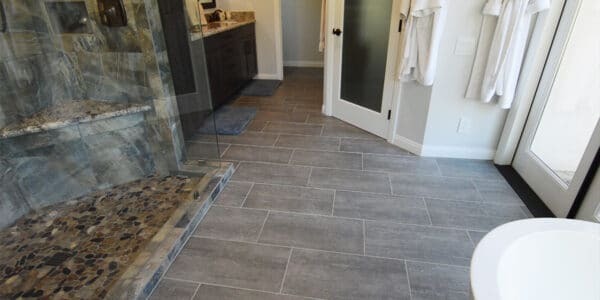 To tie the whole bathroom together is the concrete styled flooring.